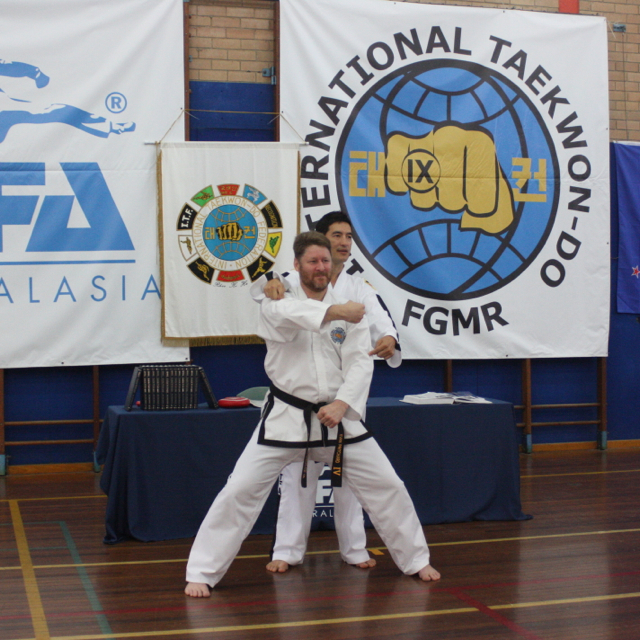 Mr Pritchard started Taekwon-do at age 15 at the YMCA Hall riverside in Rockhampton in 1986. He started teaching at that same hall at age 17 and graded to I Dan in March 1989. 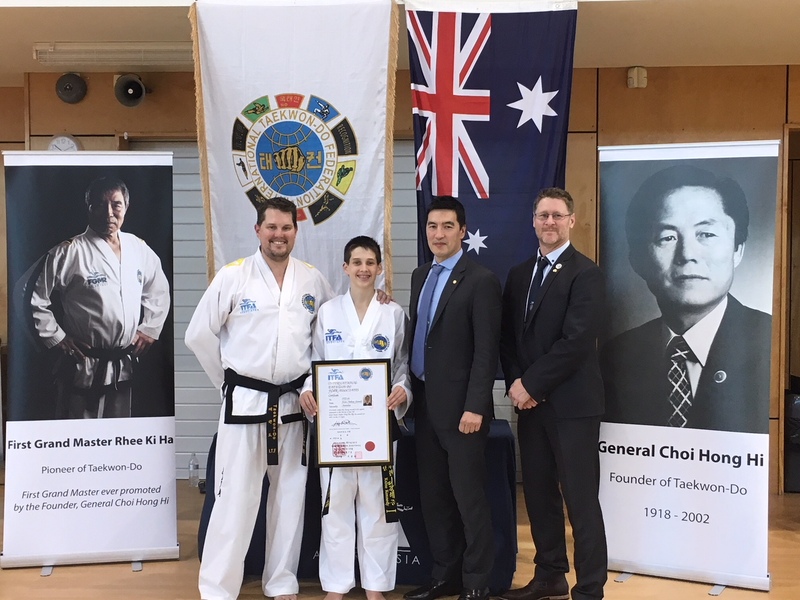 Later he moved to Brisbane continued his training there for 8 years achieving his II and III Dan Black Belts. During this time he was teaching in 4 venues, 5 nights and 2 afternoons a week. After moving overseas, Mr Pritchard returned to Rockhampton for family reasons and recommenced his training. After a year, Mr Pritchard took over classes at North Rockhampton High School Hall, where he continues to teach today. Mr Pritchard attained his IV in November 2013. In August 2015, Mr Pritchard joined the ITFA and in September 2016, after siting the required training, he became an ITFA certified Examiner. 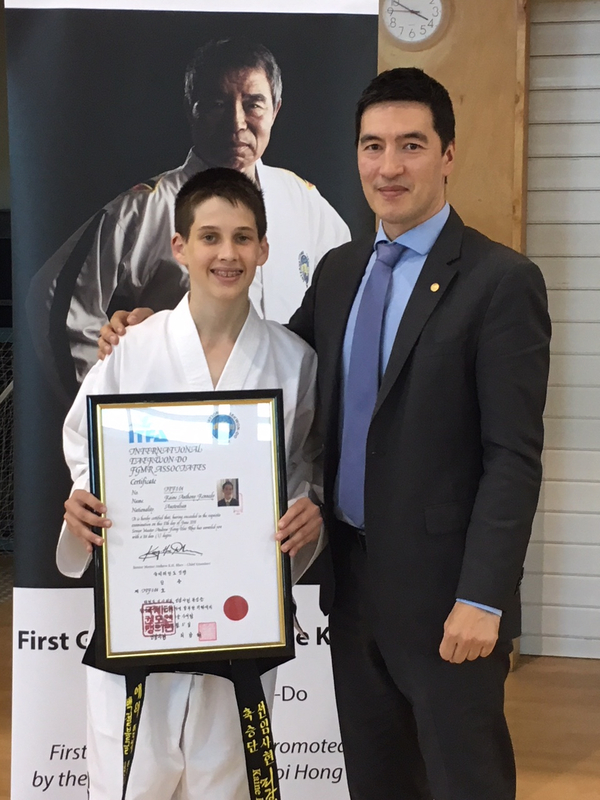 In April 2017, Mr Pritchard successfully passed his Grading to V Dan at ITFA HQ. 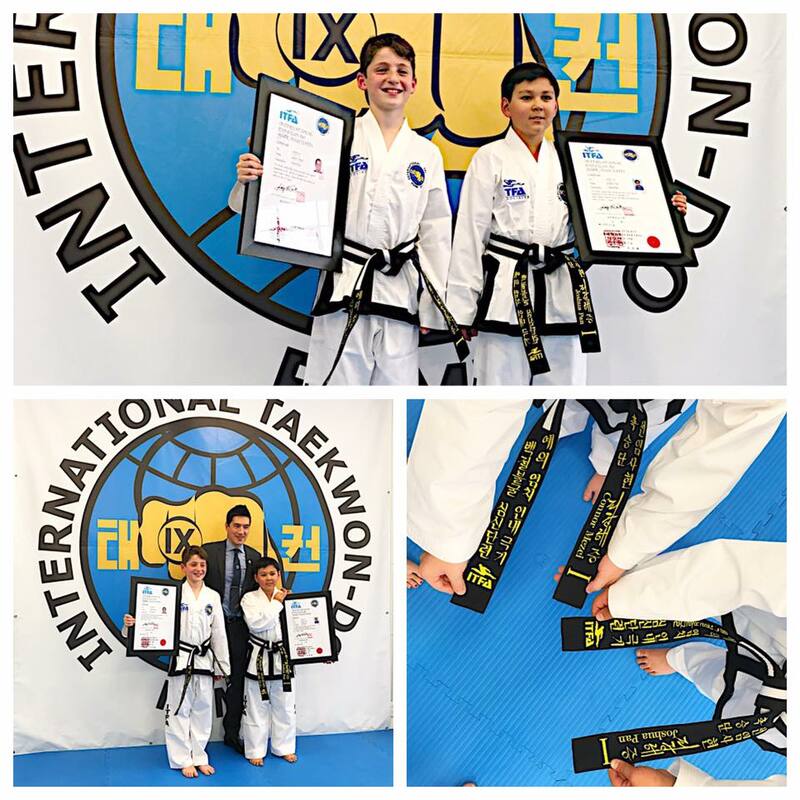 With ongoing support and training under Senior Master Andrew Rhee he looks forward to advancing his skills and knowledge in Taekwon-do and hopes to pass on as much to his students as he has received over the years. Mr Pritchard currently teaches all age groups at North Rockhampton (Berserker) on Monday and Thursday nights. He also holds a Tuesday night session for Seniors only.